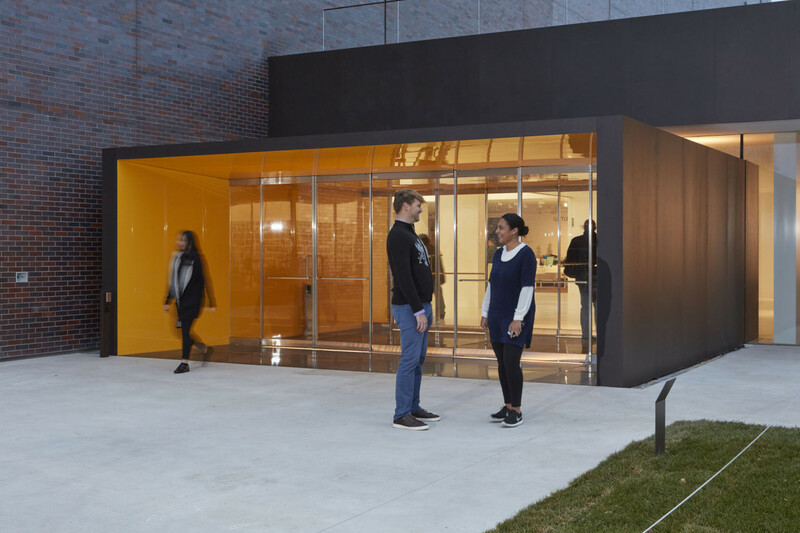 The new entrance to the Walker has been open for over a month now, and it’s already seen a lot: the Avant Garden gala, Avant Museology symposium, and an Open House weekend that welcomed nearly 10,000 visitors over four event-packed days. How has it been received? 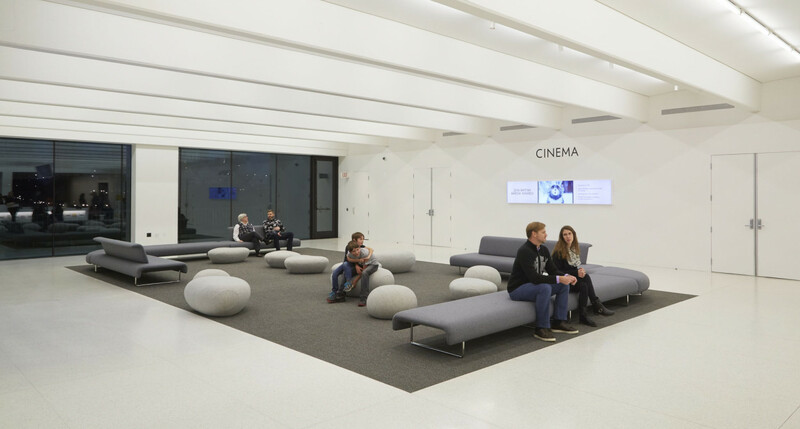 Extremely well, if the review by architecture critic and professor Thomas Fisher—who called the entrance “one of the more impressive new buildings in Minneapolis”—is any indication. Designed by Joan Soranno and John Cook of HGA Architects, the new addition was made a reality by builder M.A. Mortenson Co. and the long-term effort of Walker staff. With work completed and the building reoriented to its entrance on Vineland Place, the public is beginning to reap the benefits of this carefully designed space. For those who have been unable to visit in person since the space opened, here’s a virtual tour of what you can expect on your next visit. 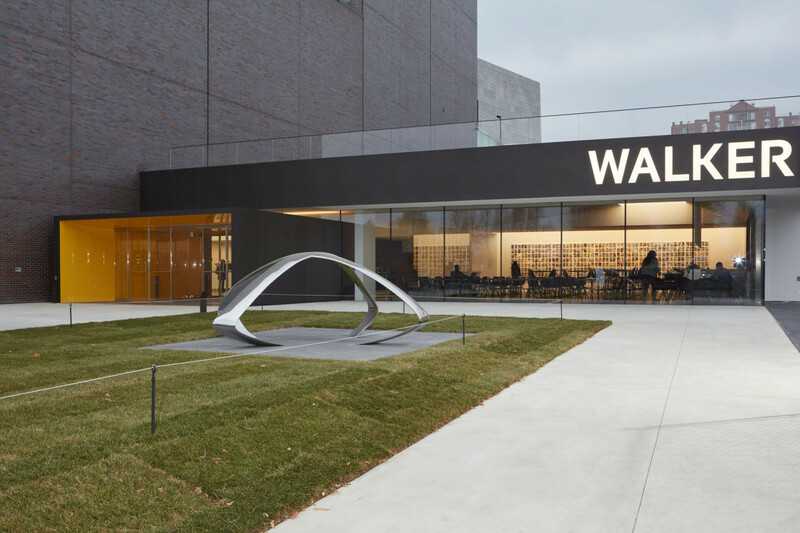 The Walker is proud to give its new entrance—a beautiful and functional space that facilitates community gathering—to the public’s trust. As a visitor approaching the Walker from Vineland Place or the Minneapolis Sculpture Garden, the low-profile addition to the 1971 Barnes tower provides a readily identifiable entrance to the art center. From the exterior it appears—due to window and wall placement—that there are three distinct modular spaces: from left to right the lobby, vestibule, and restaurant Esker Grove. Through floor-to-ceiling glass, figures are cast in silhouette against the backdrop of Frank Big Bear’s expansive collage, Multiverse #10. Liz Larner’s X provides a focal point outside the museum. A border of sheet glass sets the vestibule apart from its surrounding structure, framing it within the building’s lines and emphasizing its tunnel-like character. Walking through the vestibule is an experience of transportation and transformation—“like a walk-in Donald Judd sculpture,” as the University of Minnesota’s Fisher put it. It’s slick. Dimensions extend in the high-gloss reflection, light is infused yellow, and even the quality of sound changes as feet cross the metal grilles. Enter the main lobby: a spacious, multi-purpose area that is easily navigable thanks to common sense and signage. 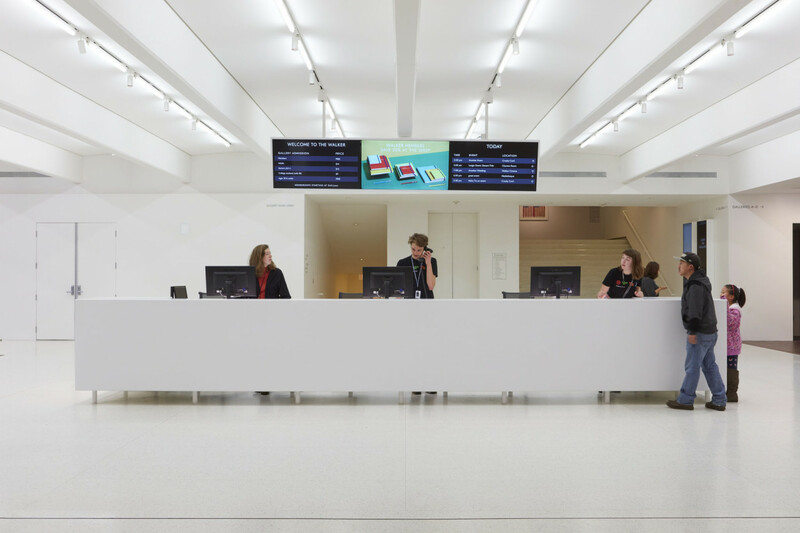 Turn to your left and you are greeted by the front desk, helpful visitor service representatives, and screens cycling through pertinent information and Walker programming. Lockers, restrooms, and the Art Lab are down the stairs behind the desk, as are Elevator 1 and the stairs leading to Galleries 1 through 7. 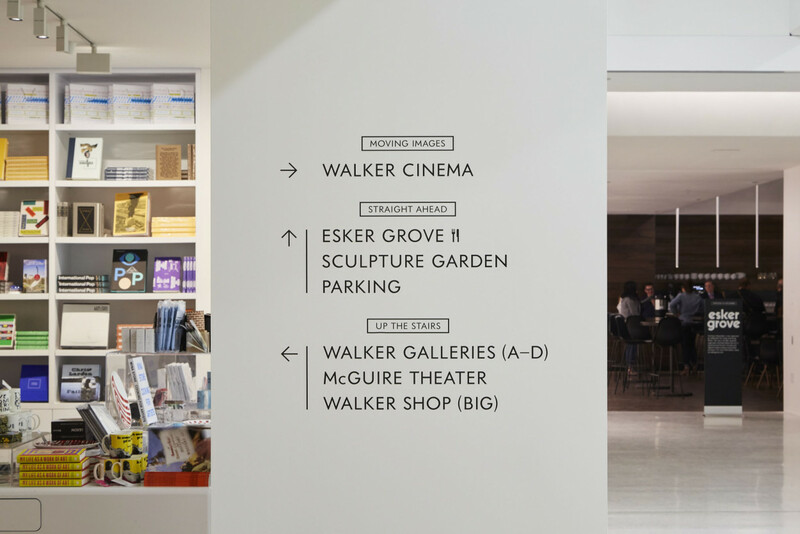 To the left of visitor services is the front lobby, a high, light-filled hall with entrance to the Walker Cinema. This is a room to take your time in, to sit and prepare for or process your visit to the galleries. 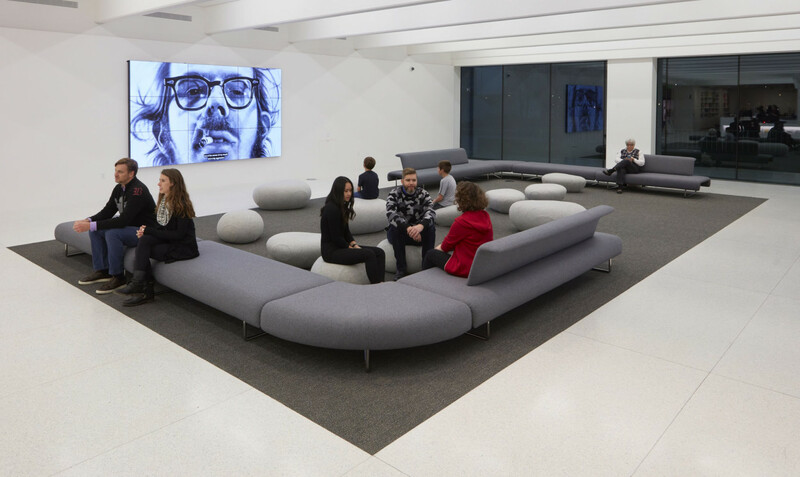 Make use of the comfortable couches and convenient personal laptop tables to get some work done, or watch the 7-by-11-foot video screen to soak in information, art, and ideas from current and past Walker exhibitions. 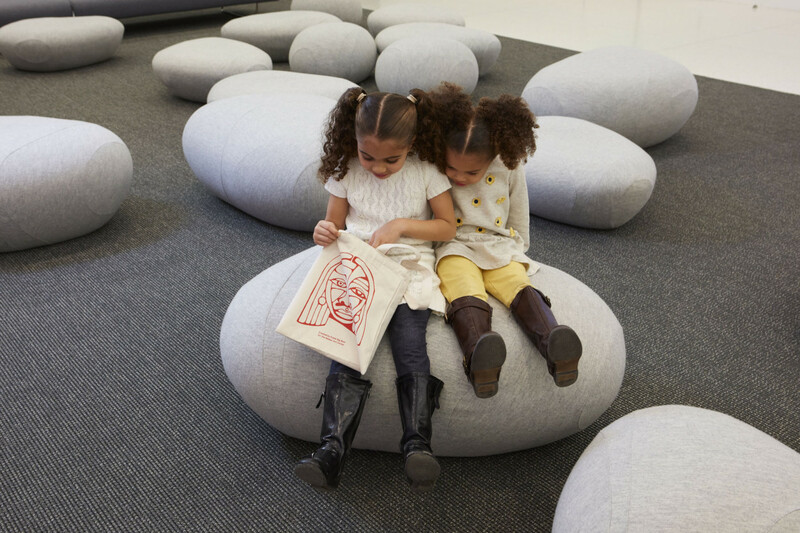 To answer the inevitable question about the pebble-shaped objects: yes, the “poufs” are remarkably fun and comfortable to sit on or lean against. Pause and appreciate the view of the Minneapolis Sculpture Garden through the windows. Share thoughts and converse with family and friends. 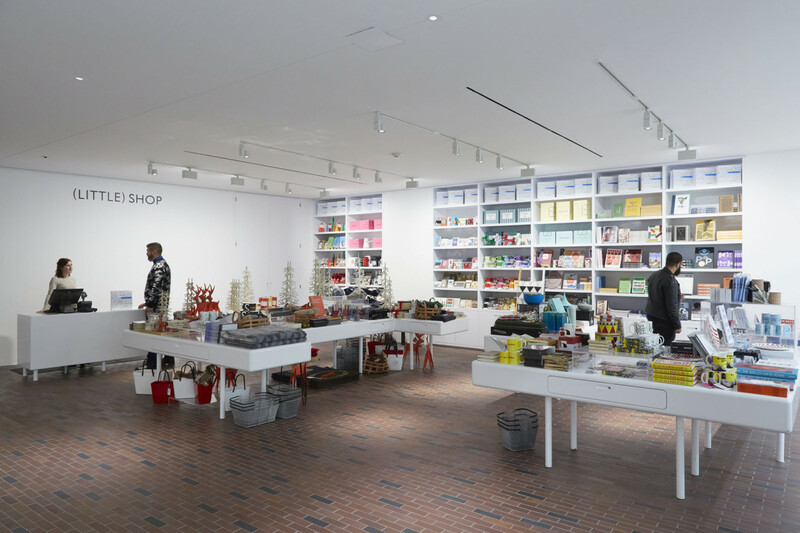 To the right of visitor services the Walker (Little) Shop offers souvenirs, Walker merchandise, and gift items perfect for the holidays. With rotating stock and displays, the (Little) Shop changes according to the seasons and Walker programs, offering a uniquely themed retail experience. Beside the (Little) Shop are the stairs leading to Galleries A through D and the Herzog & de Meuron–designed building. Find your way by consulting new signage on walls and pillars in the lobby. The newly opened restaurant Esker Grove is located to the right upon entering from Vineland Place. Glass creates a transparent divide between restaurant and lobby while warm wood welcomes visitors in for a coffee, cocktail, or meal by executive chef Doug Flicker. 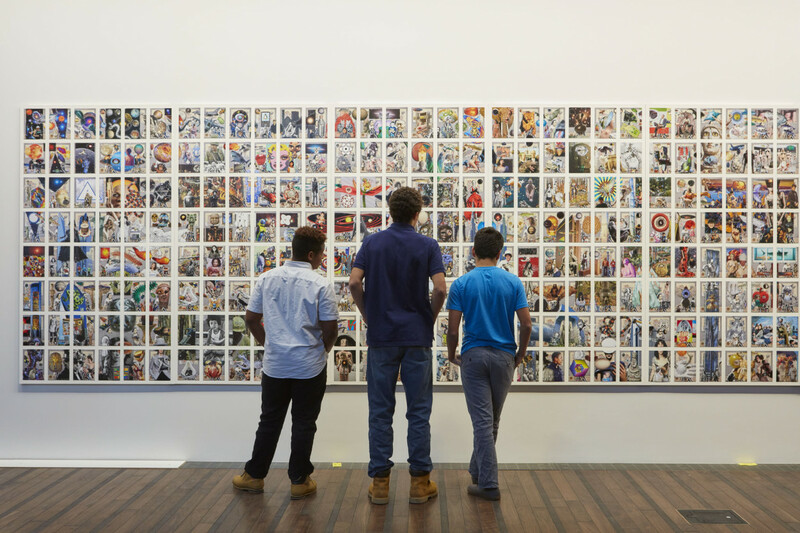 The Target Project Space—a space for yearlong, large-scale art commissions—launches with Big Bear’s Multiverse 432-panel work, an endlessly detailed collage that draws museum and restaurant visitors alike into conversation. 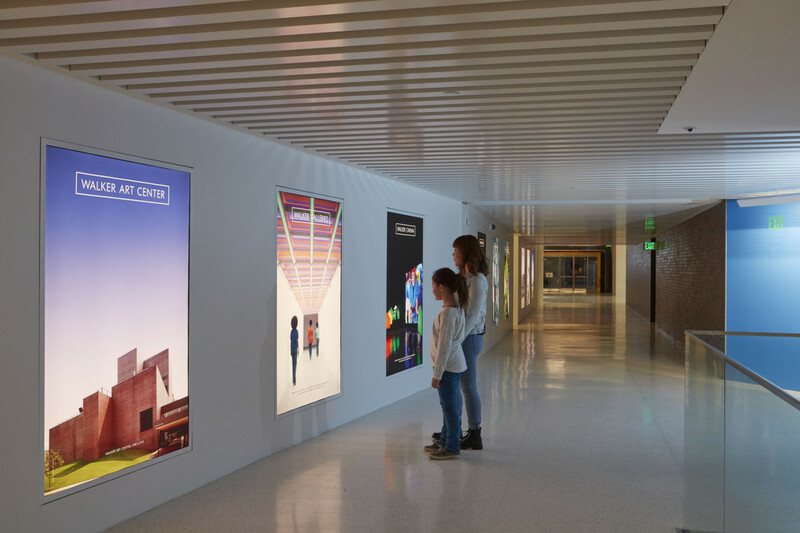 A hallway connects the lobby and parking garage, featuring backlit images of Walker present and past. It’s a straight shot along this hallway to the new entrance, which frames the iconic Spoonbridge and Cherry in the distance. The renovated addition affirms the strong connection between the Sculpture Garden and Walker.